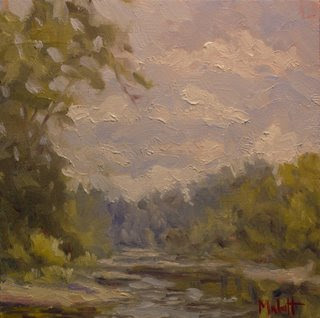 6"x6" oil on primed masonite. We camp and canoe on this beautiful creek every summer. There are so many wonderful places like this across America. This on is located in southern Indiana, it is Sugar Creek. This area is through Turkey Run state park.